could reshape American trade for a generation. ” President Trump tweeted today. 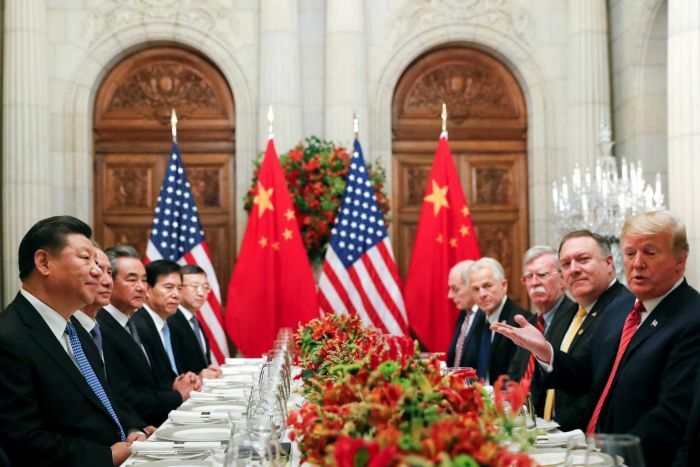 As part of Saturday’s meeting, China has agreed to start purchasing agricultural product from U.S. farmers immediately. Another huge point of concern for President Trump is Chinese auto tariffs on American cars, currently set at a staggering 40 percent. That topic was a key point of discussion during the two leaders’ working dinner. in Argentina that China’s 40 percent tariffs would soon disappear. “We expect those tariffs to go to zero,” Kudlow said—adding that America will know soon whether China is serious about an agreement. Let us resolve to use our power, our resources, and our voices, not just for ourselves, but for our people — to lift their burdens, to raise their hopes, and to empower their dreams. 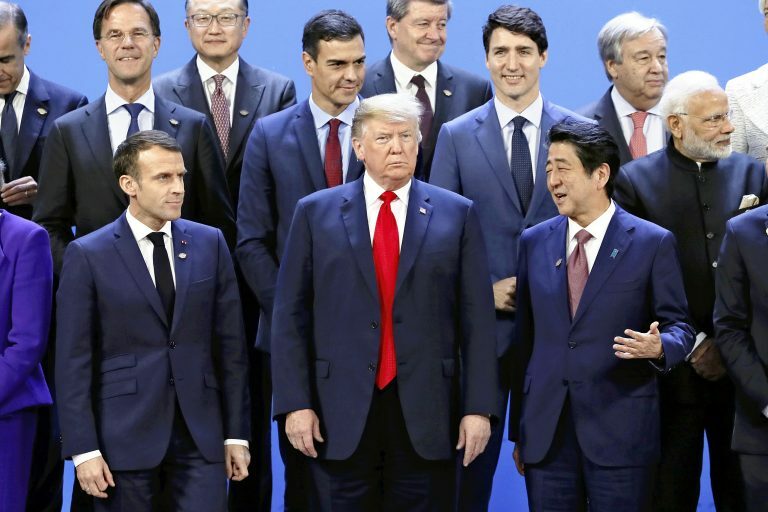 PROMOTING GROWTH AND PROSPERITY: President Donald J. Trump championed the successes of his pro-growth agenda at this year’s G20 Summit. President Trump used the G20 Summit as an opportunity to reiterate his commitment to promoting economic growth and prosperity both domestically and across the world. At the G20, President Trump highlighted the Administration’s successes in achieving historic tax cuts, cutting regulations, and promoting workforce development. President Trump’s economic policies have resulted in the United States seeing historically low unemployment and strong economic growth. The President encouraged other countries to follow this path to promote economic growth and prosperity for citizens worldwide. President Trump urged leaders to invest in job training and workforce reskilling to meet the needs of high-demand industries. President Trump also addressed the need to promote economic opportunities for women around the world. ACHIEVING FREE AND BALANCED TRADE: President Trump is working with world leaders to advance free, fair, and reciprocal trade. President Trump seeks to advance a global economic system that is based on fair economic competition and free, fair, and reciprocal trade. The President is working with other leaders to fight unfair trade practices. At the Summit, the President officially signed the United States–Mexico–Canada Agreement (USMCA) – the largest, most advanced, and most balanced trade deal in our history. Once implemented, the USMCA will replace the North American Free Trade Agreement (NAFTA). The Agreement will make North America the most competitive free, fair, and reciprocal trading bloc in the world. In addition, President Trump met with many world leaders about securing fair market access for United States goods and services through bilateral trade deals. INVESTING IN INFRASTRUCTURE AND ENERGY: President Trump is promoting the development of quality infrastructure and energy investment. President Trump understands that modern infrastructure is a critical component of achieving economic growth. During the G20, the President highlighted the need for transparent and accountable infrastructure finance. Such finance will support the development of high-standard, quality infrastructure that does not deepen the debt of developing countries. Last month, President Trump signed the BUILD Act to reform, expand, and modernize our country’s development finance tools to spur private-sector led development. The President also secured G20 recognition of the role all sources of energy play in economic growth, energy security, and energy access, while supporting a healthy environment.